Join us for our last show of 2018! 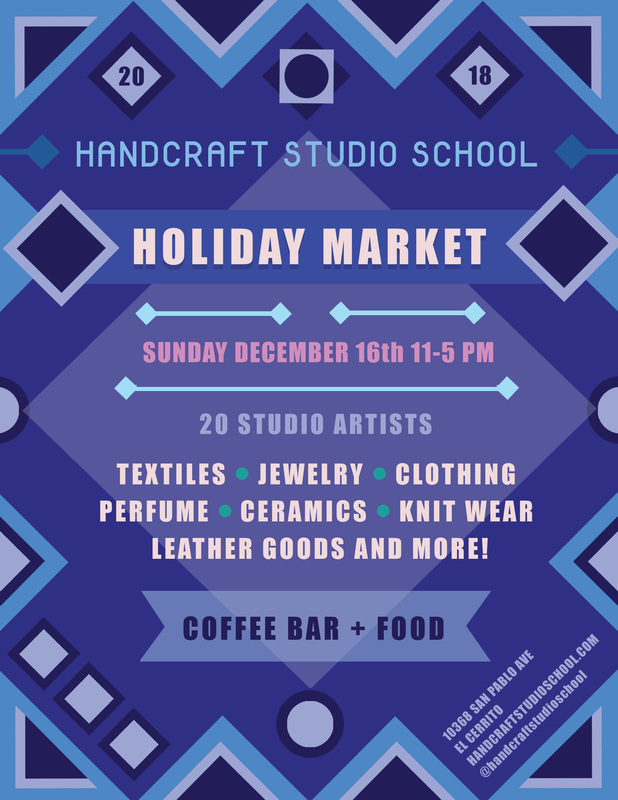 We’ll be setting up shop at Handcraft Studio School in the East Bay alongside 15 artists and fellow studio instructors who will be selling their goods. We will have dresses, jumpsuits, and tops, in addition to excess fabric yardage and remnants from our design studio. With so many sales and craft shows competing for your attention this holiday season, we hope you’ll add this local event to your list! If you are taking public transportation, the venue is a quick 10 to 15-minute walk from El Cerrito Plaza BART Station. 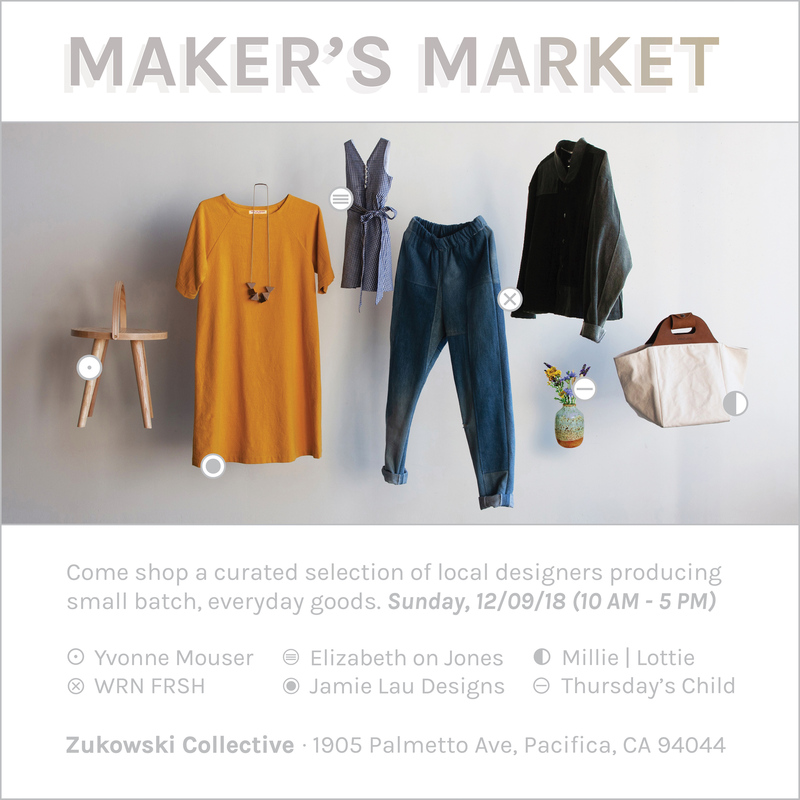 We’ve teamed up with contemporary art gallery Zukowski Collective in Pacifica to curate an intimate maker’s market featuring Bay Area makers. Shop independent design for the holidays, meet the makers, and explore handcrafted small batch goods. Fox and Glove Flowers will also be here with gorgeous bouquets and wreaths! 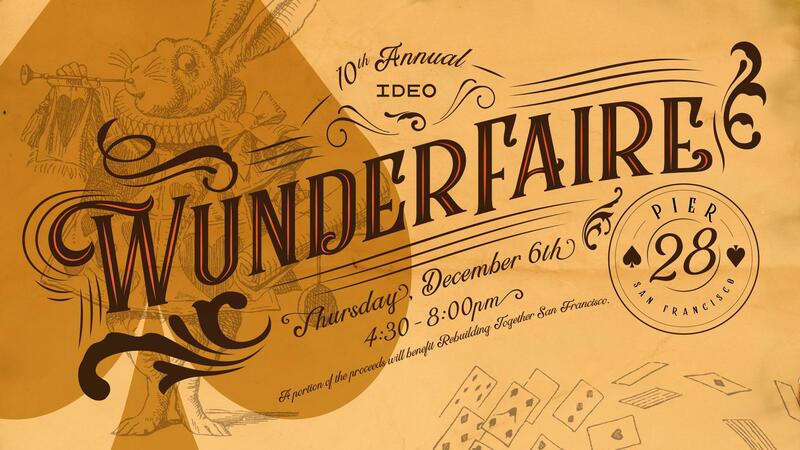 We will be back at this year’s IDEO Wunderfaire, celebrating its 10th year in San Francisco. IDEO is a global design company creating positive impact through design. JLD is excited to join this event celebrating local crafters, artists, and designers. Shop 60+ independent vendors selling goods for men, women, kids, homes, and pets. This event will also feature food trucks, sweet treats, and live music. *Note: Admission is FREE and open to the public. However, registration on Eventbrite is required and tickets are limited. Click “Register” and select “Free RSVP (3rd wave)”. If the event says sold out, contact us at jamielaudesigns (at) gmail (dot) com for tickets. 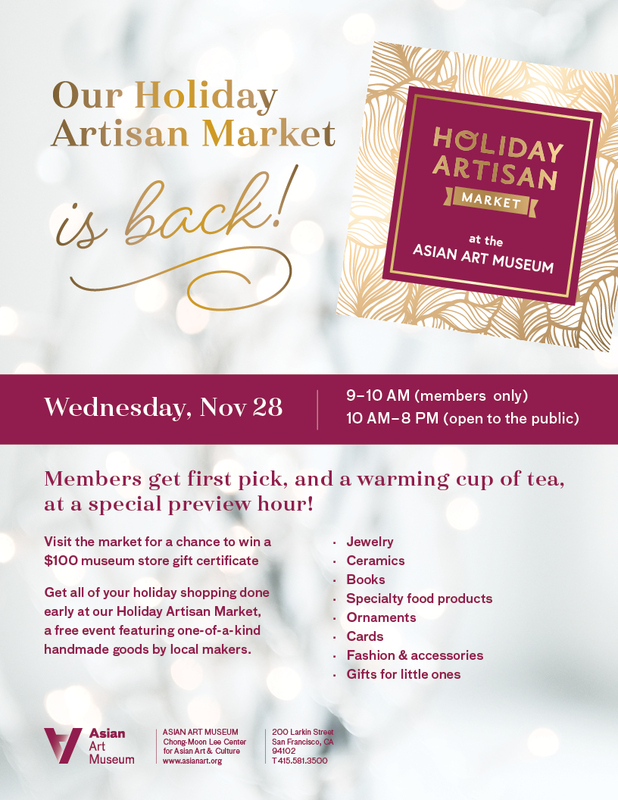 We will be participating in this year’s Holiday Artisan Market at the Asian Art Museum. Join JLD and 30 local makers at this free event featuring handmade goods including fashion wearables, jewelry, ceramics, and specialty food products. See the full roster of vendors here. Visit us in Booth 77 (view fair directory with map). 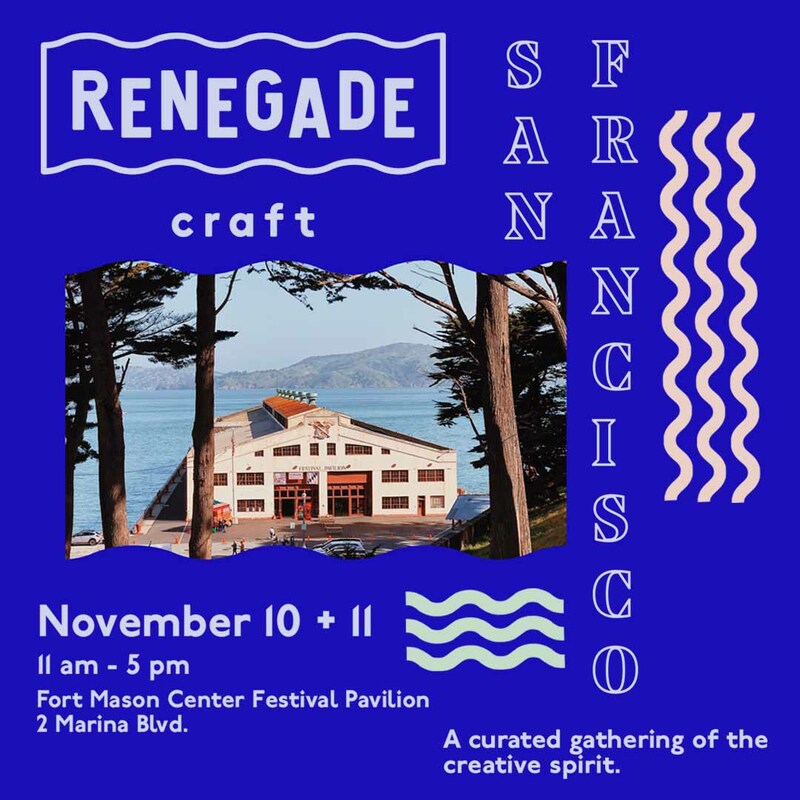 Join us at Renegade Craft Fair for our annual holiday show at Fort Mason. Our fall lineup is filled with our classic silhouettes cut and sewn in autumnal tones, indigo, and other Japanese fabrics. 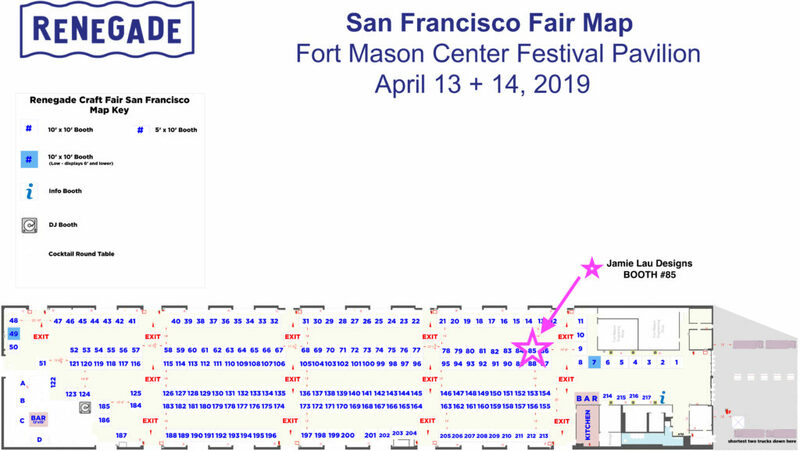 We’ll be in our usual spot, Booth 77. In addition to available stock, we will have fitting muslins and fabric swatches on hand to take customer orders in person. Jumpsuits, dresses, and tops galore! Looking for a holiday gift? Contact us for more info about gift certificates. Don’t miss this festive weekend of contemporary handmade featuring 300+ of the country’s foremost voices in craft and design. As always, this event is free and open to the public. In the meantime, visit our web shop to peruse our latest designs and follow us on Instagram for a behind-the-scenes peek as we get ready for the show! 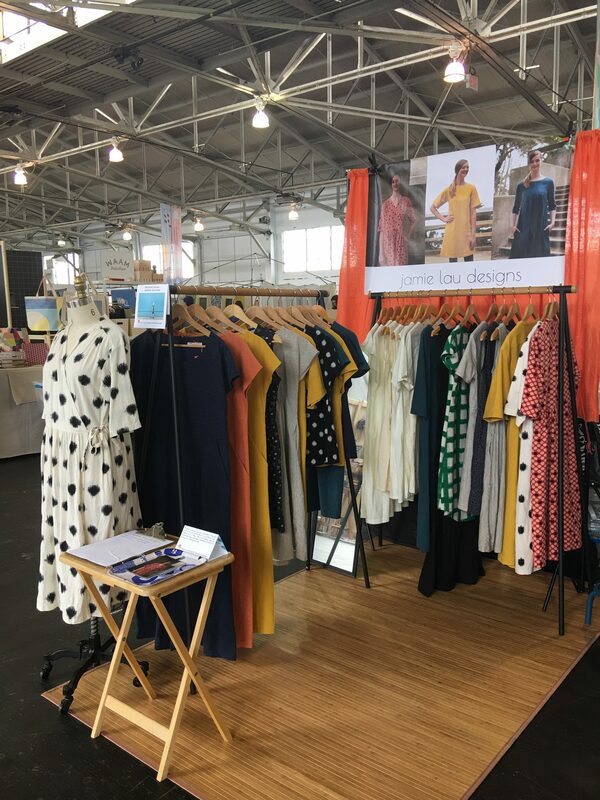 Visit us in Booth 403 at Fort Mason this summer! 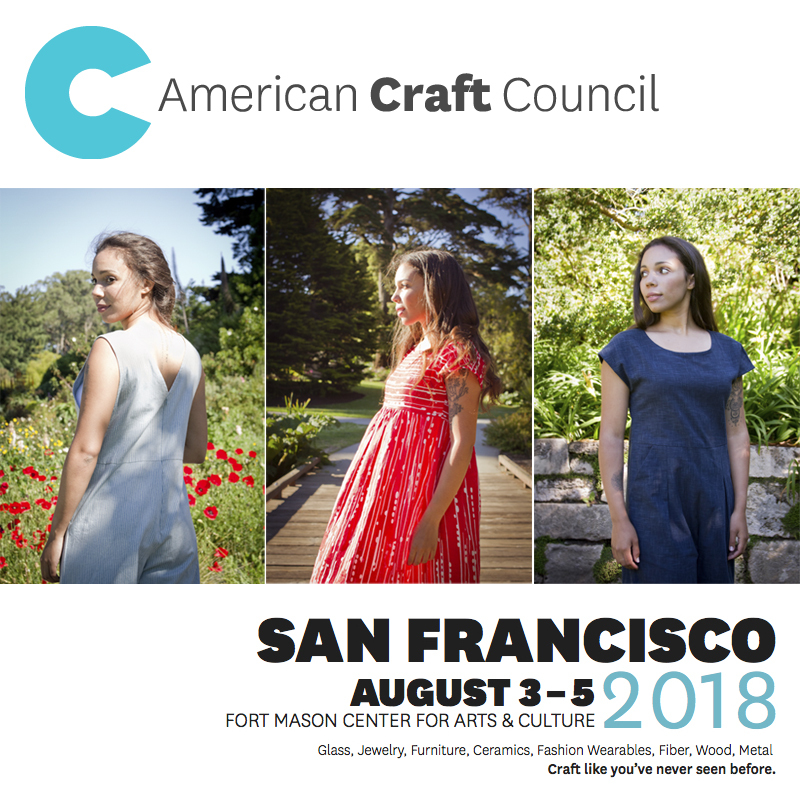 Join us this year for the 43rd Annual American Craft Show in San Francisco. We are honored to exhibit at this show—now in our fourth year and graduating to a full booth! 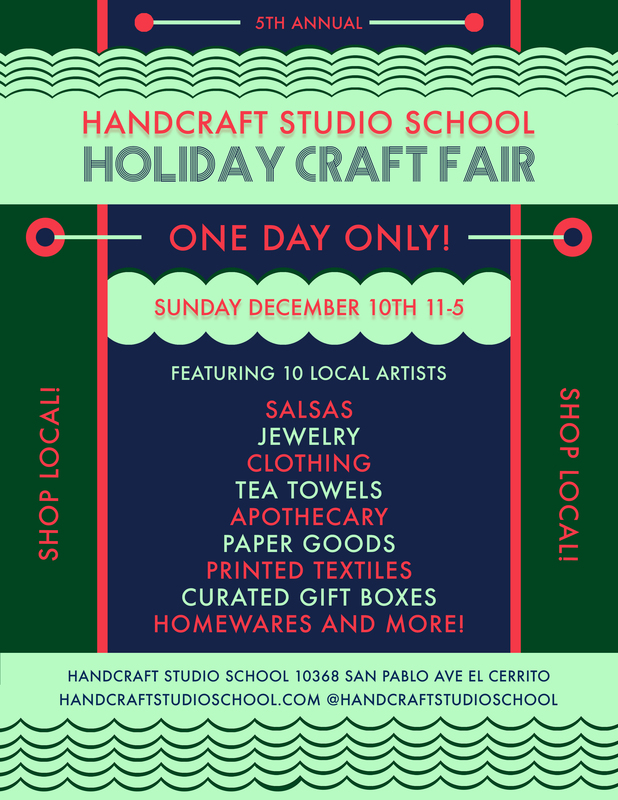 We’ll be setting up shop for three days of festivities celebrating all things handmade! More than 250 top contemporary jewelry, clothing, furniture, and home décor artists from across the country will gather under one roof. Jamie Lau Designs will be participating as both a wholesale and retail exhibitor. It’s your chance to touch, feel, and explore high-quality American craft and meet the makers behind the work. This is the largest juried craft show west of the Rockies—a must-attend for craft lovers. View the full roster of artists here. 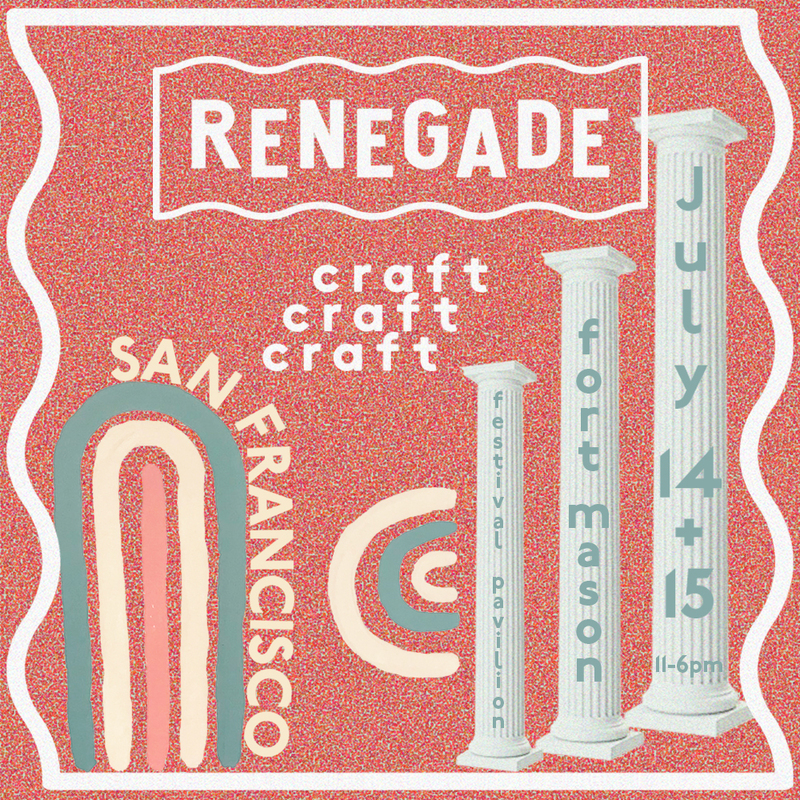 Join us this weekend at Fort Mason for Renegade Craft Fair, celebrating its 11th year in San Francisco. Come say hello and shop our latest selection of dresses, tops, and jumpsuits. In addition to old favorites, we’ve added some new styles to our summer lineup cut and sewn in vibrant Japanese fabrics, stripes, and indigo. In addition to available stock, we will have fitting muslins and fabric swatches on hand to take customer orders in person. We’ll be showcasing our handmade designs alongside 300+ emerging and established makers, designers, and food vendors. As always, this event is free and open to the public. We’ll be sharing a booth with French artist Marine Futin and her pastel drawings. See the full list of vendors here. Visit us in Booth 69. 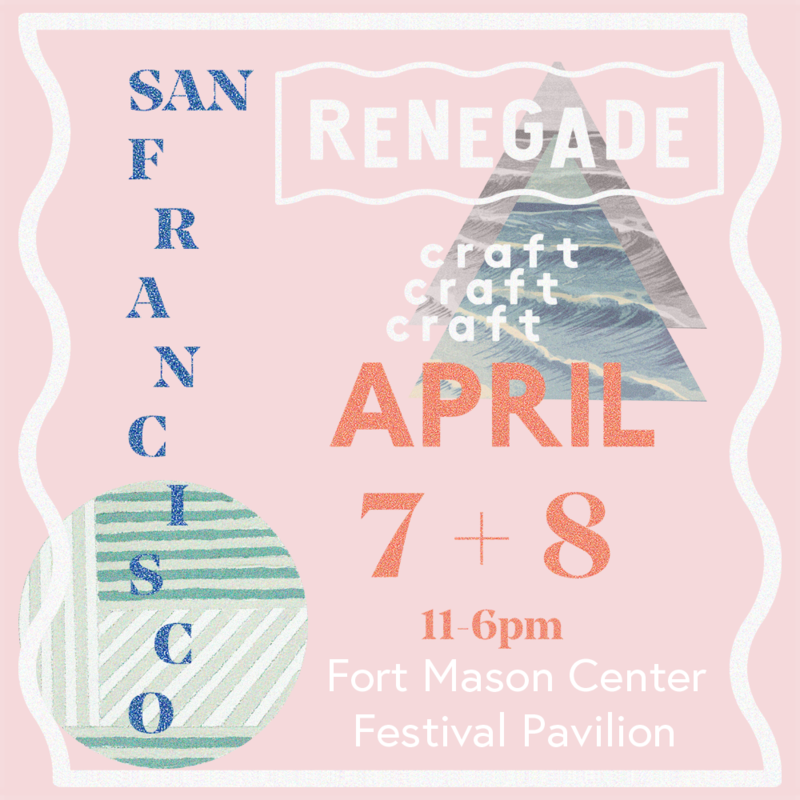 Join us this weekend at Renegade Craft Fair to kick off our first event of the year at Fort Mason. Come say hello and shop our latest selection of dresses, wraps, tops, and jumpsuits. In addition to old favorites, we’ve added some new styles to our spring lineup cut and sewn in vibrant Japanese fabrics. In addition to available stock, we will have fitting muslins and fabric swatches on hand to take customer orders in person. 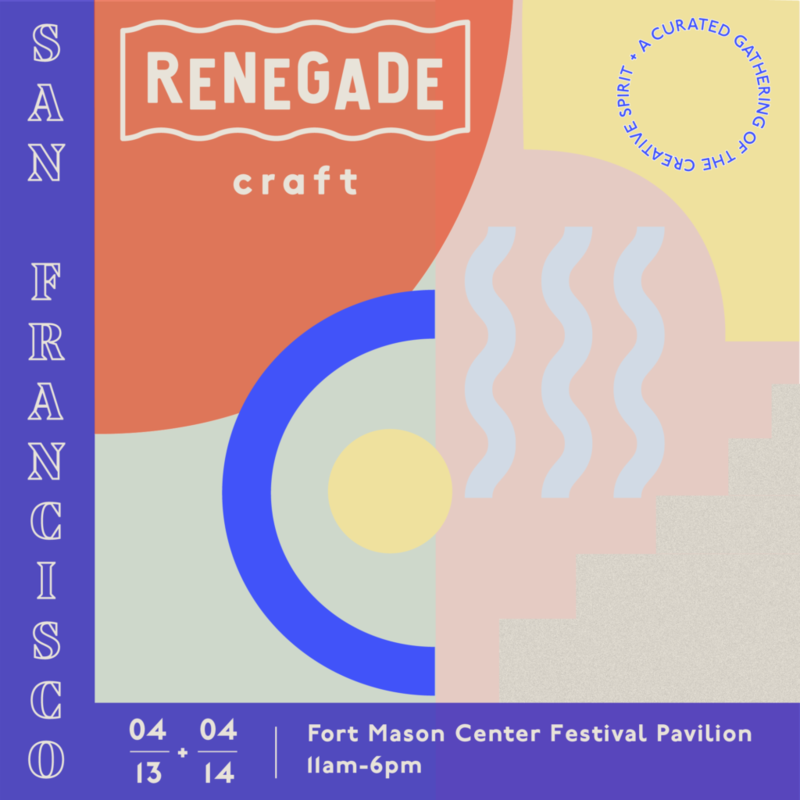 We’ll be showcasing our handmade designs alongside 300+ makers, designers, and food vendors. As always, this event is free and open to the public. Join us for our last show of 2017! We’ll be setting up shop at Handcraft Studio School in the East Bay alongside 10+ local artists who will be selling their special goods. We will have dresses and tops (including some sale items), in addition to excess fabric yardage and remnants from our design studio. With so many sales and craft shows competing for your attention this holiday season, we hope you’ll add this local event to your list!